Scotland forward Tim Swinson has been ruled out for six months through injury, Glasgow Warriors have announced. The lock has undergone surgery on a leg injury sustained on international duty. He suffered the injury during the Dark Blues’ 44-15 win over Argentina that completed their tour of the Americas and has returned home to undergo the operation. 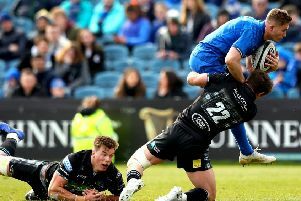 The 37-time capped Glasgow forward could be out of action for the remainder of 2018, ruling him out of the first half of the Guinness PRO14 season and making him a major doubt for the 2019 NatWest 6 Nations.